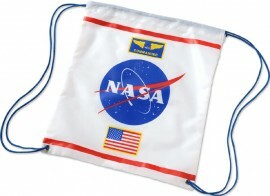 NASA drawstring bag - spacekids - space toys, dressing up costumes, kids spacesuits, astronaut food, cool space stuff! This 100% polyester, adjustable drawstring backpack was designed with space travelers in mind! Made for any space walk, whether it’s a country hike or the trip to school. Quality construction to make sure it will not rip while walking and while lightweight designed, this bag is made to last. 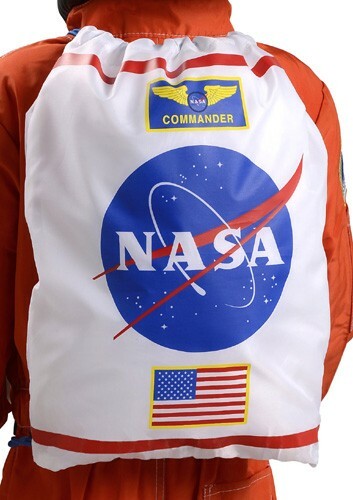 Accurate NASA logo, commander patch and US Flag enhance the front of the bag.